When most beginner gardeners venture into bulbs, the most common flowers they choose are Gladiolus & Tube roses. One because they are easily available and familiar. Two because they are so easy to grow & maintain! 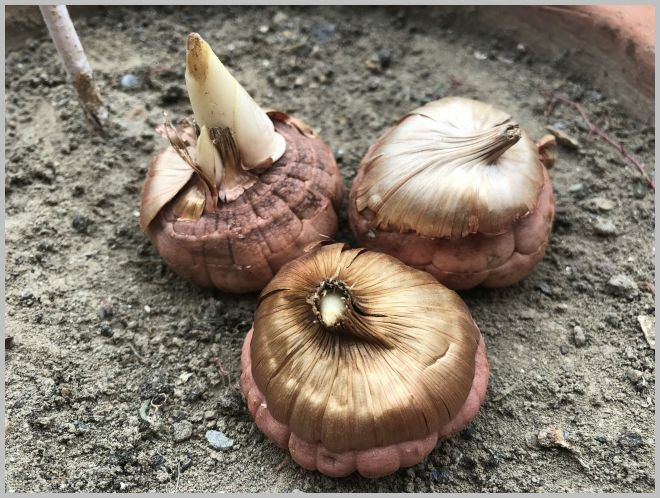 All they require is to actually just plant the bulbs – the rest is done by Mother Nature herself. Yet, some newbies may not be very confident about the process, so let’s begin with the basics. 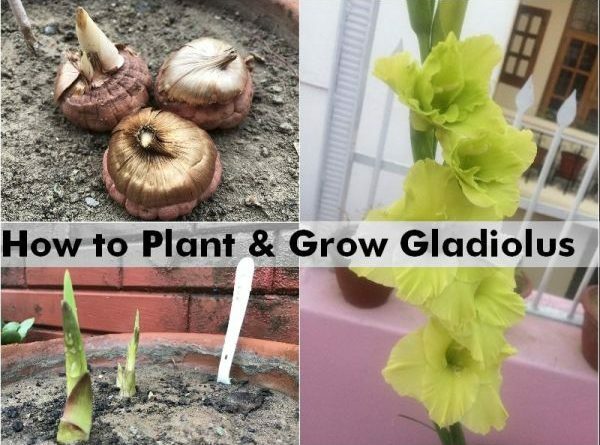 How to choose the right Gladiolus bulbs? They must be fleshy & big. The bigger the bulb, the healthier the plant. Press lightly with your fingertips. The bulb must not feel squishy or change shape. It should be firm. 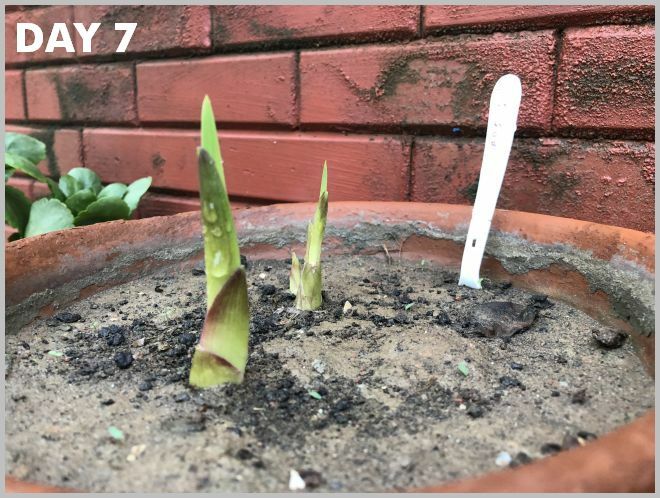 Look for bulbs that have sprouted slightly. The growth must be light green not brown. It should be clean & free of fungus. 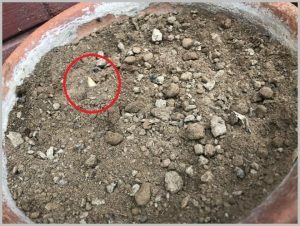 Very small bulbs are not likely to flower. Avoid them. Like any other bulb, we need well-draining soil. Add some sand/compost/coco-peat if the soil is too hard or clayey. 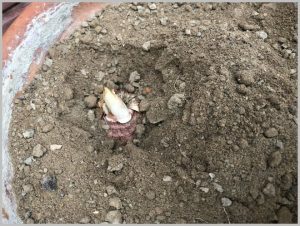 Standing water rots even the best quality bulbs hence drainage is very important. 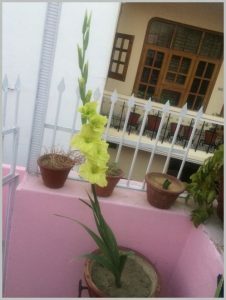 Also, the quality of flowers depends on the bulb itself not the soil. 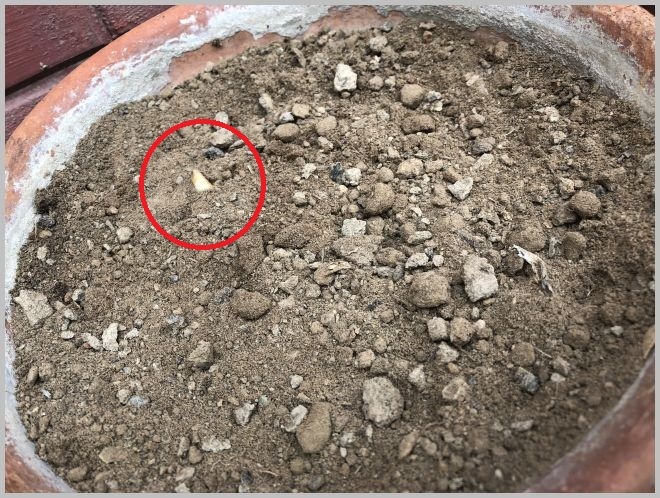 The bulb stores food for the plant. 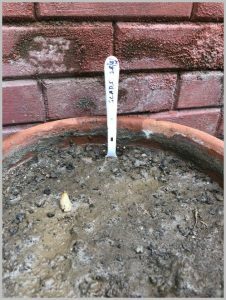 BUT, if you want the bulbs to grow and multiply then add some compost to soil for nutrition. 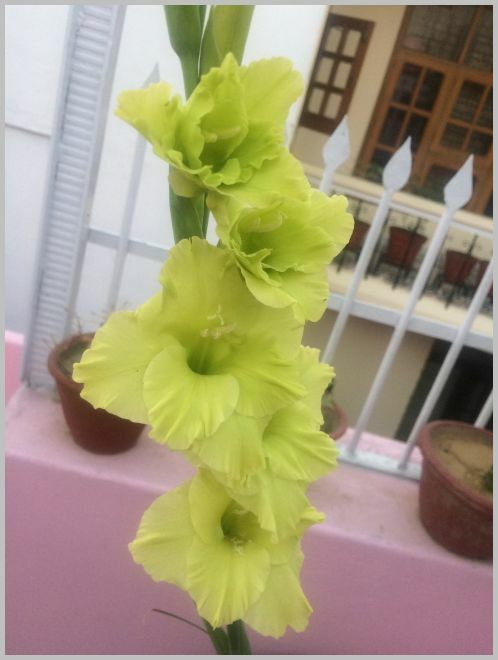 Otherwise, Gladiolus is not fussy and grows well in normal soil. 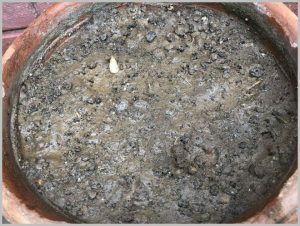 Before planting the bulbs, water the soil and see if it drains well. This means, the water must completely drench the soil and excess drains away within a minute or so. 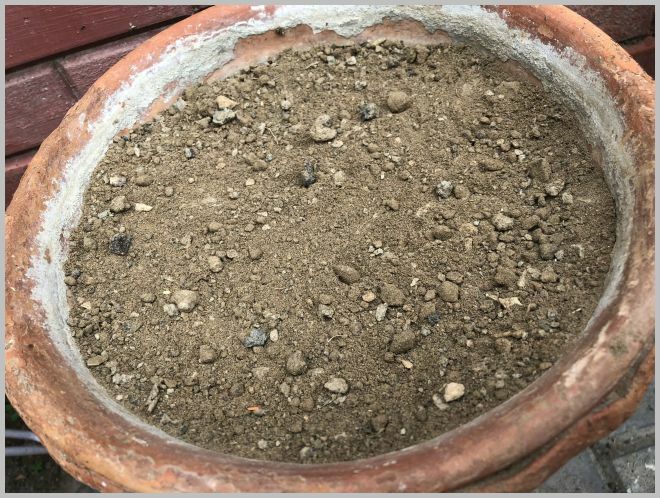 This soil is ideal. 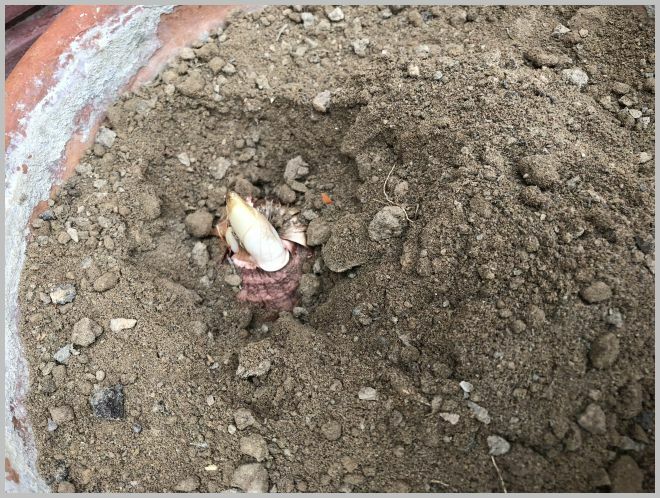 To plant the bulbs, dig enough to hide the bulb but keep the sprouted part a little visible. If there is no sprout, sow the bulb about 2.5″ deep. 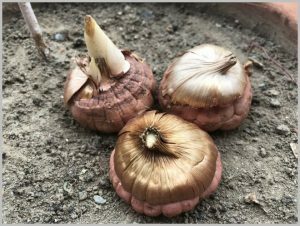 To make this easier, plant the bulbs in slightly wet soil not dry. 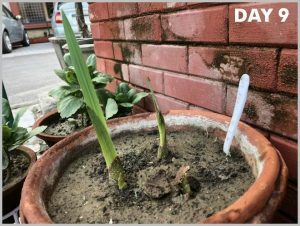 Know more about planting depth for bulbs HERE. Water it once again, thoroughly. I repeat, it must drain down quickly! 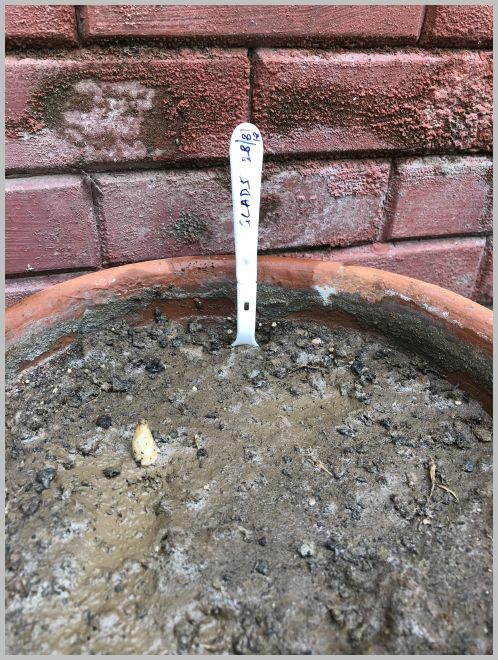 Label it so that you don’t dig it accidentally. I use these disposable spoons and write with a waterproof marker. Don;t forget to mention the date. I do this for my Mali ( Garden helper). He sometimes gets over-enthusiastic and digs everything in sight. These markers are a signal for him to stay away from a pot. Now wait patiently. Gardening teaches you patience, isn’t it? 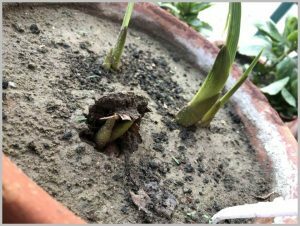 Gladiolus flower bulbs’ progress.. 2 of 3 have sprouted. More progress.. The third one realized it is late and hence breaking the ground now! 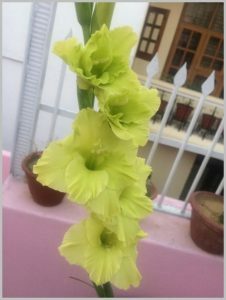 Meanwhile, enjoy some Green Gladiolus flowers from last year in my Parents’ garden.. Explanation is very good i getting much more information..
Thanku Sir. Please do share pics of your blooms too. We are very glad that you found this helpful. Many thanks!